To clean a room a broom is must and you cannot find a house where there is no broom. When it comes to making space or a house clean, a broom plays an important role and keeps the home neat & tidy. In a daily routine, you make use of it because it is easy to handle however the vacuum cleaners are also useful but it cannot be used on a daily basis. 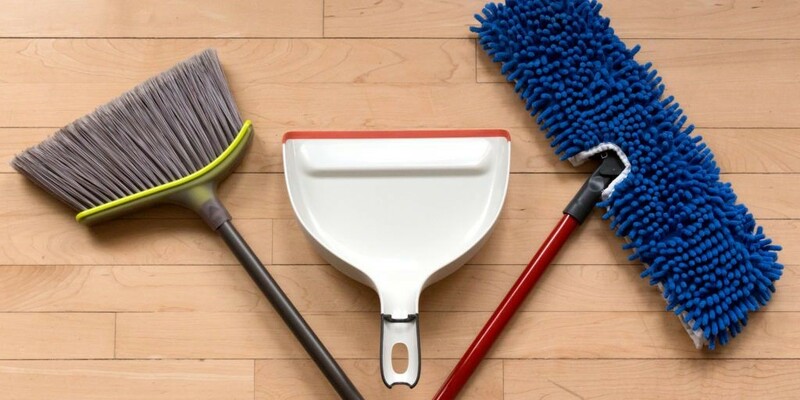 If you are in search of a broom for your house then The HouseWire is here to help you and to see their recommendation for best broom read further. Brooms come in large varieties these days. They are available in 1-2 difference, also in various shapes as well as length. The type of broom which meets your need will depend on the surface as well as area in which you will be using it. 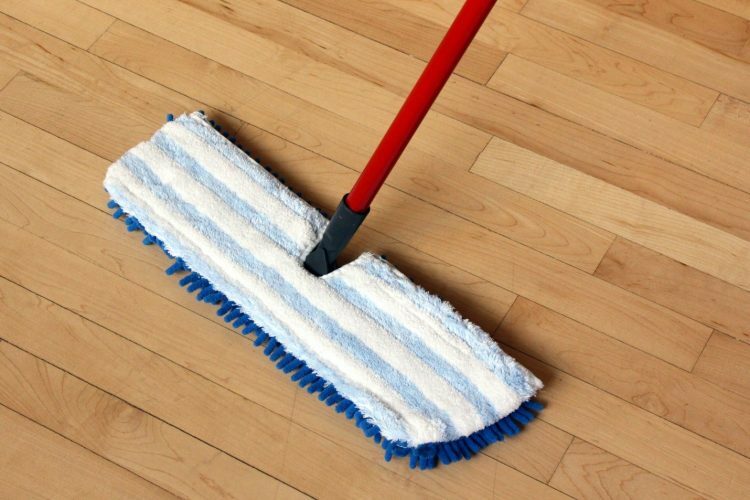 There is a different type of brooms for cleaning surfaces like pebbled, hardwood, wood like tile and concrete surface. 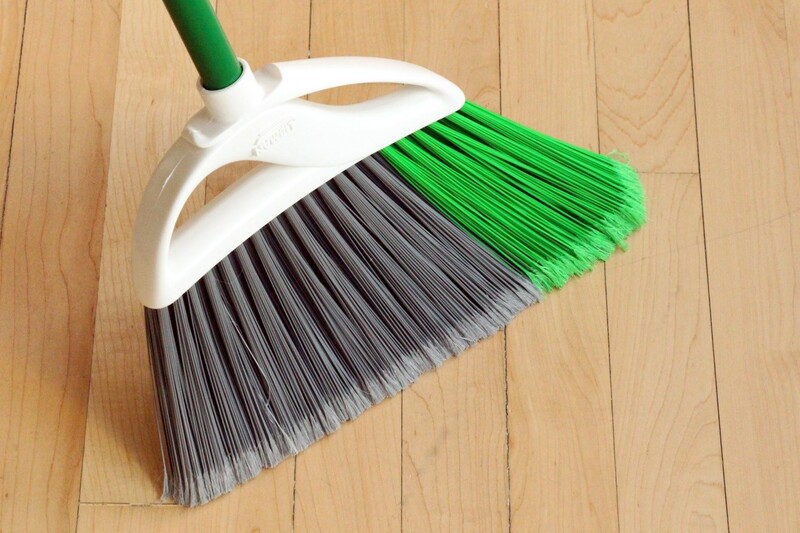 For cleaning the living room, kitchen, garage, bathroom, and lower basement you need a different kind of broom. Hence, surface and area are to be considered when deciding to buy a broom. Another thing to consider is storage space. Here we have already reviewed the best models of broom which are easily available in the market. In this model, you can find many innovative features which make it the top choice of the buyers. The design of this broom is straightforward as well as simple. The features provided in this model make it effective as well as faster in cleaning the floor. Its flare- tip technology helps in capturing the pet hair, debris, and hair. It is also provided with the double bristle technology which is it’s another amazing feature that makes it brush denser as compared to other brooms. Both the features help clean easily the large as well as small debris. In addition to this, it is equipped with angles bristles featuring the flat-contact design that maintains full contact with the floor. Libman extra large broom offers reliability as well as the good price for meeting your cleaning needs. It will stay together when effectively cleaning up the large as well as small dust or debris without breaking or losing bristles. This high-quality broom is made up of sturdy polypropylene. Its stick is coated with electrostatic powder and so it won’t bend or break easily. There is also angled brush and this slightly bent design makes it easier to handle. This is a broom which you are looking for if you wish to save money and wants good quality as well. This is best for heavy-duty cleaning and it is eco-friendly as well. Environment-conscious people may make use of it. You can feel discomfort when you sweep or clean for long. This happens because you are making use of the wrong tool. This model is having an ergonomic design which makes it easy to handle and easy grip. There are very many features offered in it like a well-angled brush. It’s easy to grip design makes it comfortable to handle and your palm does not feel hurt even after long period of Sweeping. Another feature is a twisted adjustment for length. It can be adjusted as per the area you want to clean. You can simply twist the handle and shorten or extend the broomstick, and twist it to lock. For better reach to a fixture, furniture as well as hard to reach places there is provided slightly angles head in this broom. The bristles of this broom are feathered and it provides less resistance. One different feature of this broom is its telescopic stick handle as well as a sturdy wide dustpan. This is the best broom for cleaning the pet hair. As you know pet hair is not easy to remove because it clings to furniture. Also when used broom to clean them then pet hair tangle and stick to the bristles. O-cedar dual action is handy in this case and can clean the pet hair smoothly. The blade of the broom is made up of foam which divides the broom head and pushes through the pet hair. 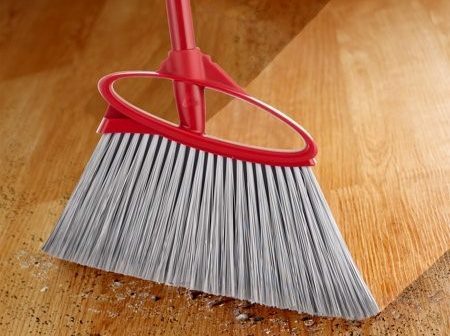 While the pet hair is removed by foam blade the bristle removed the dust and cleans the dirt. The foam blade is solid and sturdy and does not wear off so easily. It does not damage the floor and sweeps the surface easily. There is an option to remove this part if you are not in need of it. This is a classic corn broom, it looks old fashioned but it is different from other kinds of brooms. It is heavy duty broom which comes with the reliability, and durability in cleaning the outdoor. This broom also has a head made up of dense material which sweeps the tough debris effectively. The wire secured bristle head and triple stitching/ sews makes it the heavy duty for the outdoor. This is the best mini broom which comes with Dustpan set. If you are looking for using a broom in smaller task then you can make use of this mini broom. This broom comes with countered palm fitting and non-slip handle for best handling. In addition to this broom can easily fit as well as reach in the smaller spaces which are otherwise difficult to reach. So, you can easily clean the work desk, shelves, tables, and countertop. We hope that now you can select a suitable type of broom for your house and get the cleaning work done so easily. To see the housewire recommendation for the best broom you can also read the full list of the best broom. Then you can make a better choice and get the tips to select the brooms very easily. 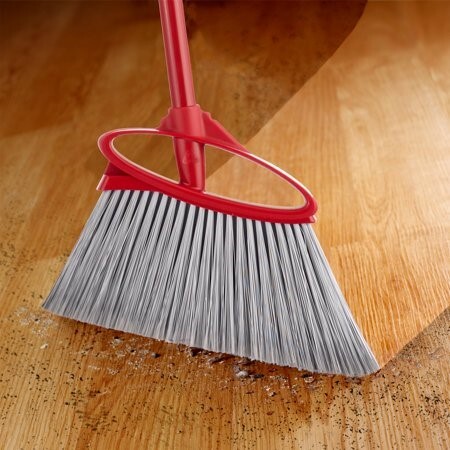 Now you will not face cleaning issues and you can get broom within your range very easily.